The new dairy unit at Greenmount Campus of the College of Agricultural, Food and Rural Enterprise, hosted 900 farmers over four days at the end of January. 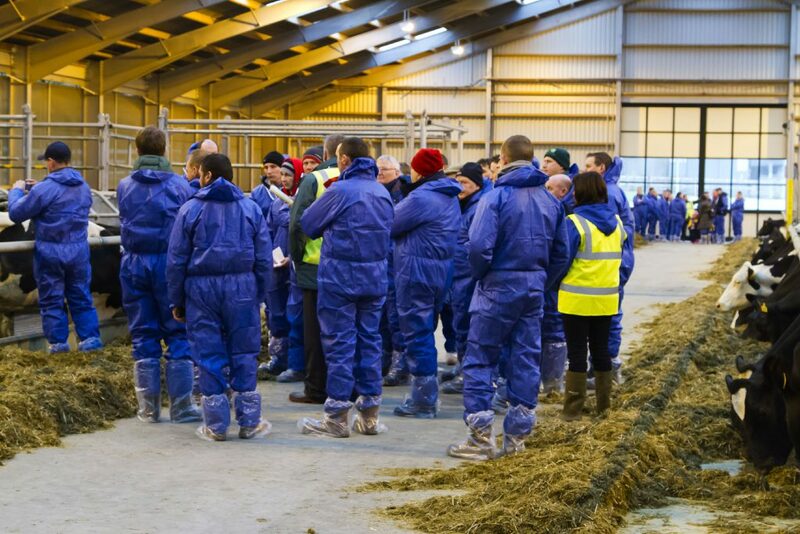 Farmers attending the Open Days in June 2013 had said they wanted to come back and see the new unit in operation once the cows were into it. Milking commenced in the unit in July 2013 and the farmers had the opportunity to see firsthand the herd in the new facilities. 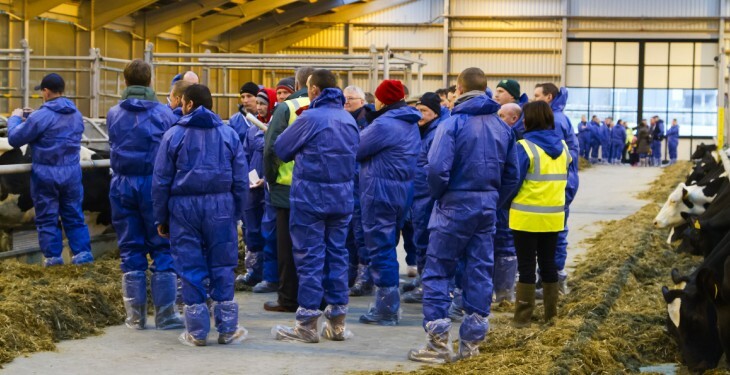 The dairying advisers took small groups of farmers through the unit discussing in detail the various aspects of herd performance including milk yields and quality, locomotion scores, and an update on fertility and sire selection. There was a lot of discussion, with farmers very interested to know more about all aspect of the building design and how effective the different technologies were. Particular focus was on the calving and handling facilities including the bull pen. Cow comfort in relation to cubicle design and lying times were a key area of interest to the farmers and the flooring system linked to slurry management. The farmers were also encouraged to hear that the students were really enjoying working in the new unit and how it had significantly improved the training in milking route and herd management which they were receiving. The feedback was very positive with many saying the wanted to return in the future to study a number of the specific features in more detail.